Both Russia and Egypt have denied reports alleging that Russian special forces have been deployed at an airbase near the Libyan border to support a military commander loyal to Libya’s eastern government. “There are no Russian special forces in Sidi Barrani,” the Russian Defense Ministry’s official spokesman, Igor Konashenkov, said on Tuesday. “Some Western media have been disturbing the public with such reports, citing anonymous sources for several years now… And ever more foolish and indecent with regard to American intelligence are the words of the ‘source’ quoted by Reuters, who said that ‘intelligence activity of the United States into the [actions] of the Russian military are complicated because of the involvement of contractors and agents in civilian clothes,’” Konashenkov added. Citing US, Egyptian, and “diplomatic“ sources who spoke on condition of anonymity, Reuters had reported earlier that Russian special operations forces and drones were allegedly deployed at Sidi Barrani base, some 100 kilometers (60 miles) from the border between Egypt and Libya. The unnamed Egyptian security sources said the unit consisted of 22 members, but would not discuss their supposed mission, the agency stated, while suggesting that Russia had also flown six military units to Egypt’s Marsa Matrouh base in early February, which proceeded to Libya some 10 days later. 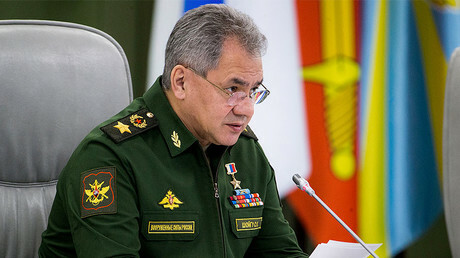 The chair of Russia’s Federal Defense and Security Committee, Victor Ozerov, branded the report a “hoax,” insisting that no deployment of special forces to Egypt or Libya had ever been brought before the Russian Parliament. 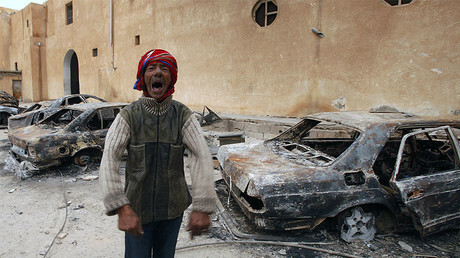 “Nobody addressed the Federation Council on the question of sending the Russian Armed Forces to either Egypt or Libya. Egypt also dismissed the Reuters report. “There is no foreign soldier from any foreign country on Egyptian soil. This is a matter of sovereignty,” Egyptian army spokesman Tamer al-Rifai said, as cited by Reuters. The refuted allegations contend that Russian special forces have been deployed to support Khalifa Haftar, the commander of the Libyan National Army (LNA) that is loyal to Libya’s eastern government. The 73-year-old general had been an ally of Libyan strong-man Muammar Gaddafi, but joined the Western-backed uprising against the country’s long-time leader in 2011, which led to the Gaddafi’s death and a civil war that’s still raging. After years of turmoil and fighting, with various factions vying for power, two rival governments emerged in Libya: the Council of Deputies based in Tobruk and the Tripoli-based General National Congress. With the UN’s help, in 2015, the two agreed to set up a Government of National Accord (GNA) that would form a Presidency Council. 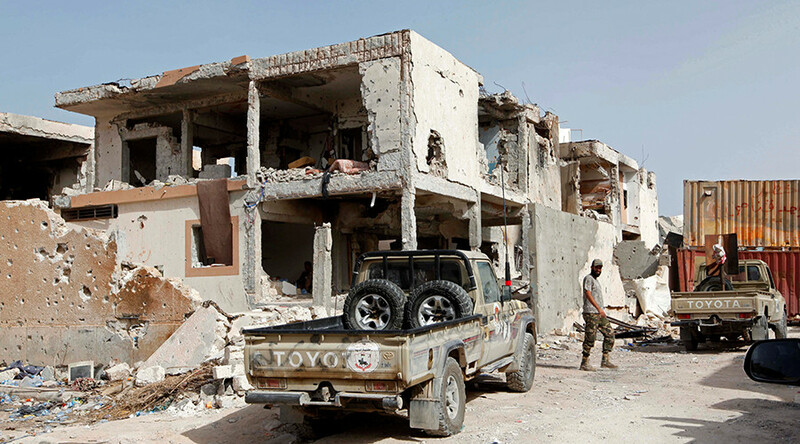 However, the Tobruk-based parliament supported by Haftar has refused to cooperate with the unity government, which it accuses of aligning with some of the country’s Islamist-leaning forces.Haftar’s forces have been fighting an alliance of Islamist militants and former rebels in Benghazi for two years now. 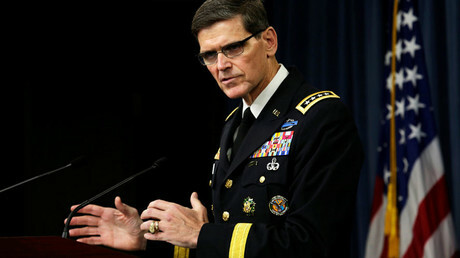 The general maintains close relationships with Egypt and the United Arab Emirates, as well as Russia. Haftar was in Russia twice last year, asking for military aid. Last week, another Reuters report alleged that a force of several dozen armed private Russian security contractors had been operating in a part of Libya under Haftar’s control until February. The contractors were allegedly there to help mine sweep Benghazi, the head of the firm that allegedly hired them said, according to Reuters. However, the commander of Benina air base near Benghazi, Mohamed Manfour, said that the LNA had not received any military assistance from the Russian government or Russian military contractors, while denying that there were any Russian forces or bases in eastern Libya. Russia has stressed that it “continues meticulously working with both power centers in Libya,” with Foreign Minister Sergei Lavrov saying that only the Libyan people can decide their country’s future. “It’s clear that the country’s future must be determined by Libyans. We believe that attempts to impose a ready-made solution on them are counterproductive,” Lavrov said in a February interview with Russia’s Izvestiya newspaper. Russia’s foreign minister also pledged to help unify Libya and foster dialogue at a recent meeting with Fayez Seraj, the leader of Libya’s UN-backed government.